Trollip has called on Malema to have the courage to tell the nation that he wants him out as mayor because he is white. 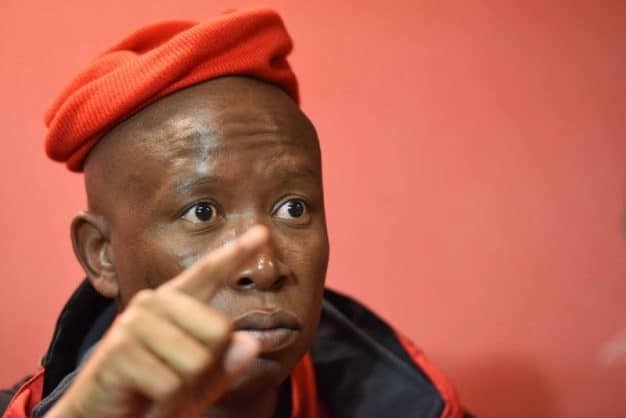 EFF leader Julius Malema and Nelson Mandela Bay mayor Athol Trollip on Saturday got into a heated Twitter war after the red berets this week filed a notice of intent to bring a motion of no confidence against the DA mayor in council. The drama all began after Trollip congratulated his party for successfully ensuring that former president Jacob Zuma gets his day in court over 16 charges of corruption, money laundering and racketeering in connection with the arms deal scandal in the late 1990’s. It wasn’t long until the EFF commander-in-chief responded to Trollip and reminded him that the EFF was committed to removing him from power. Trollip fired back at him and said his remarks proved that the EFF had no valid reasons to remove him from office before his terms ends. He called on Malema to have the courage to tell the nation that he wants him out because his white. There you go, Julius you’ve now confirmed the real reason for my removal. Not those fudgey contrived reasons provided in your Councillors motion. Just have the courage of your racist convictions and say what you mean. Trollip had some support on Twitter. Western Cape Premier and former DA leader, Helen Zille, accused Malema of being racist, saying the EFF’s motion against the mayor had nothing to do with performance, work ethic, delivery, and integrity but race.